For many Florida residents, going through a divorce can be a time-consuming, emotional, and difficult process. This is especially true for divorcing couples who do not have legal representation, as Florida courts require divorcing parties to comply with a series of complex statutes and procedural rules. To ensure that you and your spouse are able to successfully navigate these difficulties, it is critical to speak with an experienced divorce attorney who is well-versed in state law and can ensure that your interests are protected. There are four major parts to a typical Florida divorce, the first of which is the need for couples with children to create a parenting plan. Parenting plans include all information related to child custody matters, including how parenting time and decision making responsibility will be shared between the parties, as well as how the child will be transported between the parents’ homes. In many cases, parents are able to come to an out-of-court agreement on these issues and do not need to litigate them in court. As long as the terms of the parenting plan don’t conflict with state law or policy and don’t contradict what would be in the child’s best interests, courts are usually willing to ratify these agreements. If, on the other hand, a couple is unable to come to an agreement on one or more of these legal matters, a judge will step in and create a plan that he or she deems to be in the child’s best interests. Florida is an equitable distribution state, which means that divorcing couples must divide all marital property equitably upon divorce. While this could take the form of a 50/50 split, this is not always the case. Instead, courts will assess a variety of factors when making this determination, including each party’s separate property and income. 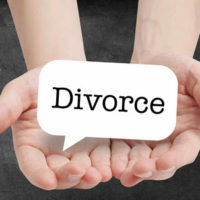 Which type of alimony a judge awards, as well as the amount and duration of payments depends on an assessment of the couple’s assets, income, liabilities, and work experience, as well as the length of the marriage, and whether the couple has any children. When a couple has minor children and decides to divorce, the court may require one of the parties to make monthly child support payments to the other parent for the financial support of their children. When calculating these payments, courts take a number of factors into account, including the parties’ incomes, the number of children that must be supported, and the parties’ specific custody arrangement. Once these factors have been assessed, the court will apply the Florida Child Support Guidelines to determine how much the non-custodial parent must pay every month in child support. 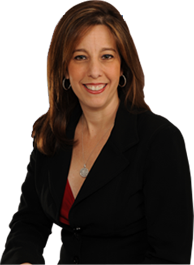 If you need assistance with your Florida divorce, please contact dedicated Fort Lauderdale divorce lawyer Sandra Bonfiglio, P.A. at 954-945-7591 to learn more about your legal options. http://If you need assistance with your Florida divorce, please contact dedicated Fort Lauderdale divorce lawyer Sandra Bonfiglio, P.A.